…and other typical Dutch souvenirs. If any of you have visited parts of the Netherlands other than Efteling, such as Amsterdam, you will be familiar with the barrage of clogs, tulips and other Dutch paraphernalia that adorns the souvenir shops. 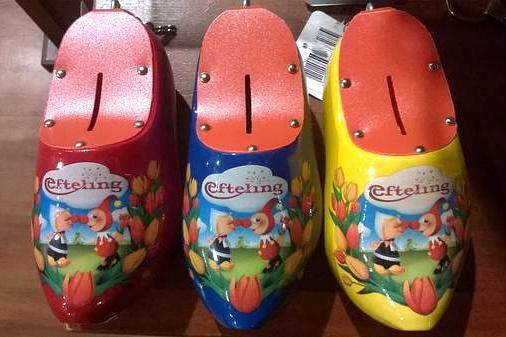 Did you ever think ‘I wish I could get traditional Dutch souvenirs themed around Efteling’? Clogs, clog money boxes, clog keyrings, pencils wooden tulips, the works! That’s a lot of clogs. But we like them; they’re different at least, and they’ll make a really nice present for your Efteling-deprived friends back at home. It is officially Springtime! 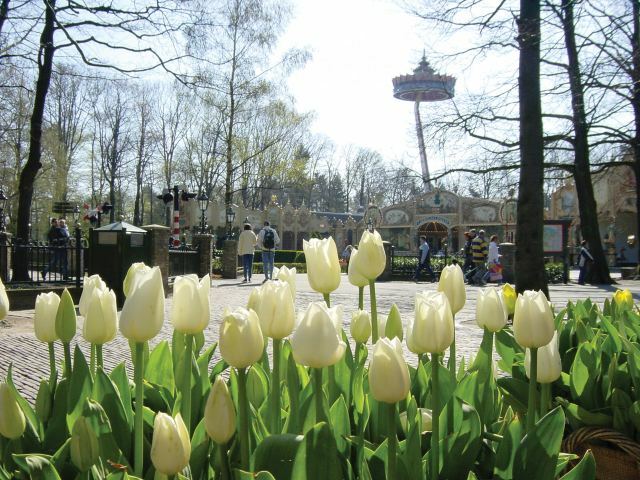 Efteling CEO Bart de Boer posted this photo of the tulips in Efteling, with the Pagoda and the Steam Carousel in the background. Beautiful! Photograph © Bart de Boer.